↑ United Nations Department of Economic and Social Affairs, Population Division (2007). 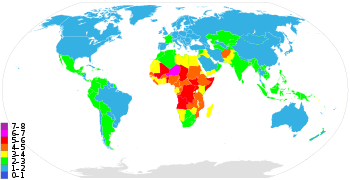 United Nations World Population Prospects: 2006 revision, Table A.15. New York: UN. Архів оригіналу за 2013-07-23. Процитовано 2009-12-07.